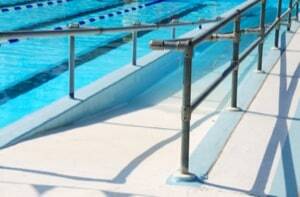 Below are a list of jury verdicts in swimming pool accident cases. Before we get to these, there are some things you should know. First, these verdicts are misleading. When a child dies in Maryland, there are caps on non-economic damages that are going to limit the recovery. So while the jury may award many millions of dollars, the actual amount the defendant is obligated to pay may be far less. Second, keep in mind that no two cases are alike. The results of one case do not predict the outcome of other, even if the cases seem similar. Why? Often, the key factors that drive verdicts don't make it into these neat little summaries. Moreover, there a huge jurisdictional difference that might have an impact on the outcome. It also must be said that the quality of the lawyering in these cases really matters. You can learn more about these cases generally in Maryland here. May 2013, New Jersey: $850,000 Settlement: A nine year-old girl was at a local motel pool with her family of five in Morris County. Unfortunately, this planned day of relaxation and family fun took a turn for the worst when she was found unconscious at the deep end of the pool. After multiple attempts, and to her family’s dismay, they were unable to resuscitate her. Her parents sued the motel for premises liability in a wrongful death lawsuit. Plaintiffs claimed that the defendant failed to place a rope to divide the shallow and deep end. They theorized that due to the lack of a dividing rope, the young girl unknowingly jumped into the deep end and when she attempted to ascend she was prevented from surfacing by numerous floating devices and became trapped. The defendant denied liability and the plaintiff’s theory. The parties agreed to resolve the matter prior to trial in a settlement of $850,000. February 2013, Texas: $982,000 Verdict: A 16 year-old boy was visiting his girlfriend at an Oak Cliff apartment complex in Dallas. That evening, they and two minor residents decided to take advantage of the apartment complex’s pool. The pool itself was incredibly murky and had a very steep deep end of 8 feet. His friends did not know how to swim, so the teenager chose to go in the water alone. While interacting with his friends, the boy submerged in the deep end but never resurfaced. Initially, his friends thought he was playing a joke on them, and could not see him in the murky water. After a concerning amount of time passed they began to worry. They started using the pole of a pool net to poke around the water and see if they could find him. When they were able to locate him, they called over a maintenance worker who immediately dove in and pulled the boy out of the water. 911 was called, but emergency personnel cold not revive him. The boy’s parents sued the realty management company for premises liability. Plaintiffs claimed that the complex failed to follow multiple requirements under the city’s swimming pool ordinance, resulting in the boy’s death. The complex had no pool maintenance logs or operations manager. They claimed that because of its murky condition the pool should not have been open. According to city ordinance, if a drain is not visible, the pool must close. Plaintiffs also claimed that the lighting outside the pool was inadequate and the only light in the pool had been inoperable for months. Defendants denied liability, claiming that the incident occurred after 10 PM, when the pool was closed, making the teenager a trespasser. Plaintiffs denied these allegations. The matter proceeded to trial where a pool safety expert for the defendants agreed that the pool should have been closed, but argued that incident occurred because the teenager was not a strong swimmer. A Dallas County jury found that the teenager was 45 percent negligent and the realty company was 55 percent negligent and awarded the estate and family $982,000. November 2012, Pennsylvania: $750,000 Settlement: A young volleyball player was traveling with his school team on a school sponsored trip to a private pool club for a swim party. While swimming with his teammates, the boy’s friend found the 11 year-old unresponsive at the bottom of the pool. 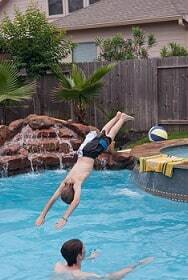 He was quickly pulled to the side of the pool and resuscitation efforts were immediately started by the pool staff. Unfortunately, he could not be revived. The boy’s mother sued the club for wrongful death, alleging that they were negligent in failing to properly maintain a safe swimming environment. Plaintiff alleged the defendant failed to keep a properly trained and well-staffed lifeguards. She claimed that in failing to properly train and instruct the lifeguards, they were unable to notice the boy at the bottom of the pool. She also sued the diocese that controlled the school for vicarious liability. Both defendants denied liability. The defendant swim club maintained that their lifeguards were well-trained and that the pool was properly monitored. They alleged the decedent had a prior medical condition that could have contributed to the drowning. The parties resolved their dispute prior to trial with the Diocese settling in the amount of $25,000 and the swim club agreeing to settle in the amount of $725,000; totaling $750,000. October 2012, Washington: $2,000,000 Settlement: A 14 year-old boy was participating in his school’s gym class. At the time, the class was focusing on swimming basics, and although he could not swim, he was required to go into the deep end of the pool and participate in a treading water exercise. The week prior, he was unable to take a mandatory swim test because he failed to bring the appropriate P.E. clothes. Following the exercises, the class was dismissed and the pool was closed for the period. It was not until a full class period had passed that the boy was discovered drowned at the bottom of the pool. The boy’s estate brought suit against the school district for negligence. Plaintiff alleged that the district failed to have a lifeguard present, as the teacher present at the time was not a certified lifeguard, and failed to properly assess the student before allowing him into the deep end of the pool. The defendant admitted liability and the parties agreed to settle in the amount of $2,000,000. November 2011, New Jersey: $10,000,000 Verdict: A young teenager was swimming in the deep end of a municipal swimming pool when he became distressed and had trouble staying afloat. After being unable to pull him to the surface, the boy’s friend ran to the boy’s mother for help. They both alerted the pool manager and lifeguards who quickly rushed to assist him. After forty minutes of searching the eventually found his body at the deep end of the pool. They were unable to resuscitate him. He passed away at the age of 13 and was survived by his parents and two sisters. The boy’s mother sued the town on his behalf for failing to provide appropriate supervision at the pool. She claimed that the pool was not properly staffed and/or monitored by lifeguards. According to the plaintiff, the pool manager ordered some of the lifeguards on duty to search areas surrounding the pool, instead of ordering them all into the water during the search. Defendant argued that the boy was negligent in going into the depths of the pool that were beyond his swimming capabilities and the mother was negligent in seeking out the pool manager instead of seeking out a lifeguard directly at the pool. The matter continued to trial where a Bergen County jury found the defendant negligent in failing to provide adequate supervision. They awarded the plaintiff $10,000,000. September 2007, Maryland: $4,000,152 Verdict: A man was visiting a country club in Crofton, Maryland with his two children and the son of a family friend, 5, for a day at the pool. During their visit, the 5 year-old was walking to the bathroom by himself when he suddenly slipped and fell in the pool. The man’s daughter noticed the boy floating face down in the pool and several other pool goers quickly pulled him out. The only lifeguard on duty, 16, attempted CPR but was unable to resuscitate him. He was rushed by an ambulance to a local hospital. Unfortunately, he died within an hour of his arrival. The parents of the five-year old sued the country club for premises liability. Plaintiffs alleged that the only life-guard on duty, who had been employed by the club for only a month at the time of the occurrence, was responsible to supervise at least 30 children during a “child swim”. They claimed the lifeguard was not properly trained and the pool was understaffed. The defendant denied negligence and filed a third party complaint against the man who initially brought the boy to the country club. The parties’ arguments proceeded to trial where an Anne Arundel County jury found in favor of the plaintiffs. They awarded the parents a total of $4,000,152 (which was capped by a statute at $1,002,500) and entered a defense verdict for the third-party defendant. 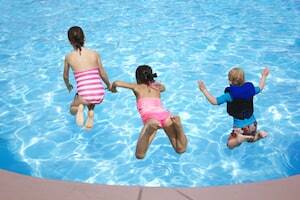 What To Do If You Or A Loved One Suffered From A Swimming Pool Injury? These are very painful cases. If you may have a claim wrongful death or serious injury in a swimning pool in Maryland and believe that someone negligence was the cause, we are more than happy to talk to you to help you access the situation and your options. Call 800-553-8082 or get a free, confidental online consultation.